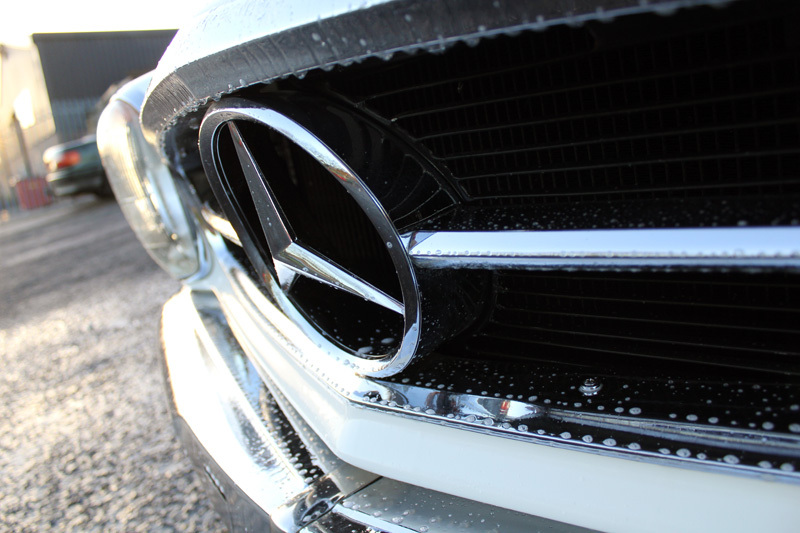 The 280 SL Roadster was introduced to the Mercedes sports car line-up in December of 1967 and production continued through to February of 1971. 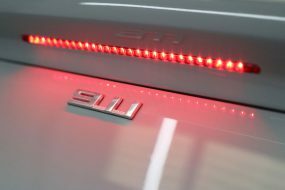 The flowing lines of the vehicle favoured by car enthusiasts and celebrities alike has given rise to this vehicle’s iconic status which persists to the modern era. 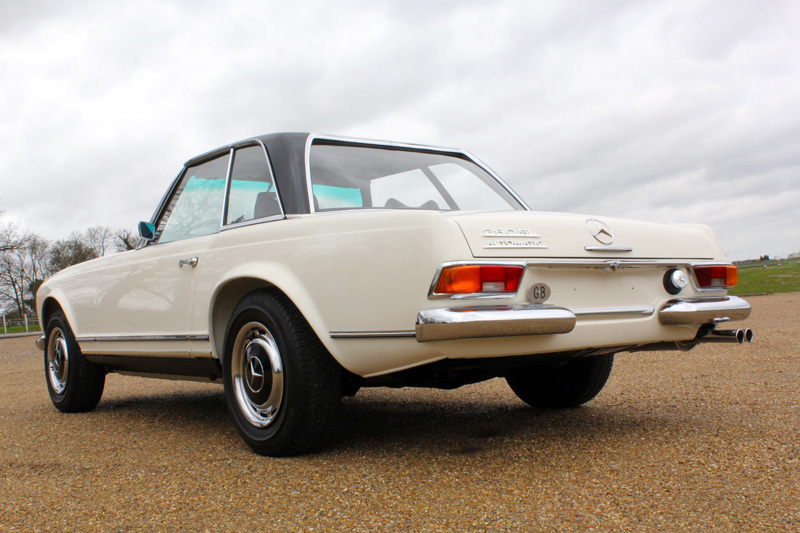 This particular 280 SL complete with its “Pagoda” removable hardtop was a recent acquisition by a long-standing customer of Ultimate Detailing Studio having purchased it for his wife from a highly respected specialist. 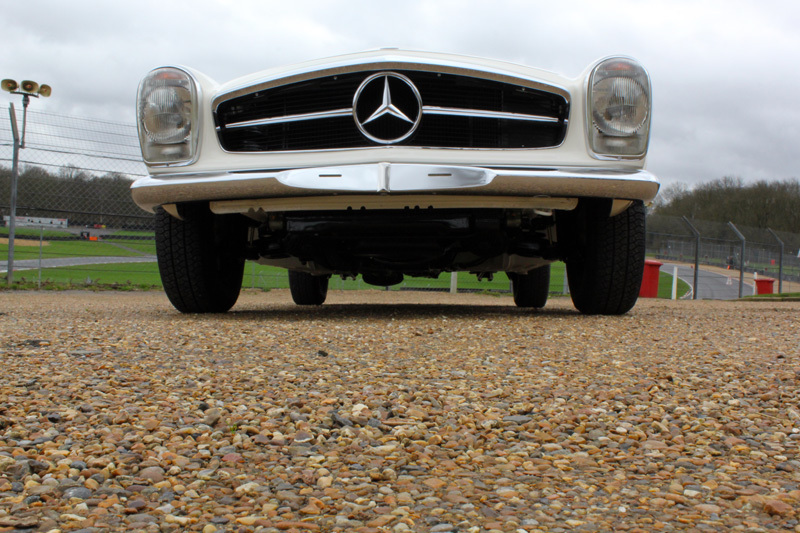 It was in excellent working order as it had recently been subject to a ‘nuts and bolts’ restoration project carried out Mercedes-Benz Marque expert John Haynes Auto Technics. 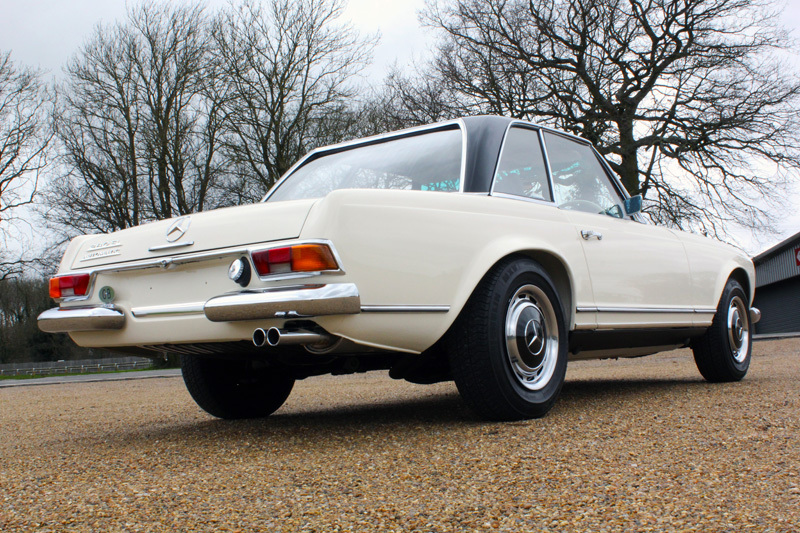 As well as restoring the mechanics to concours condition, the upholstery had also been upgraded from the original MB-Tex to full genuine leather. 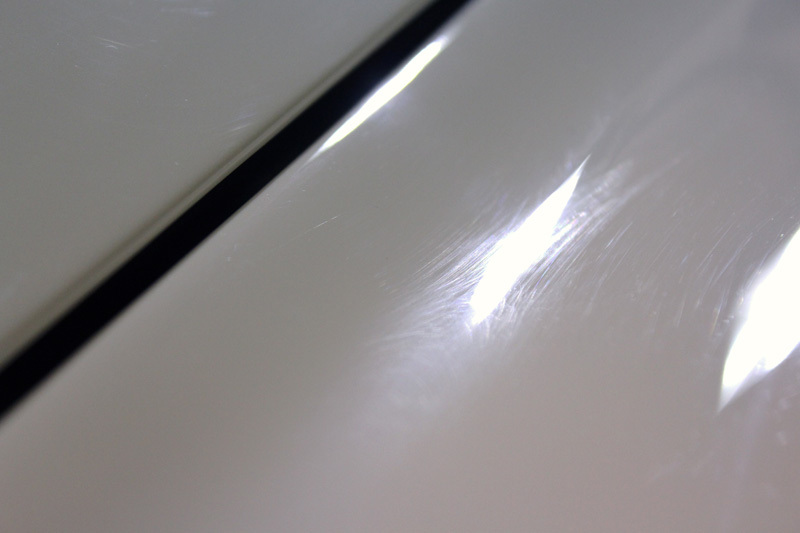 In spite of having been well-looked after in the interim, the paintwork showed typical signs of wash damage, so on purchasing the vehicle the owner delivered it to the Ultimate Detailing Studio for a Full Paint Correction Treatment. 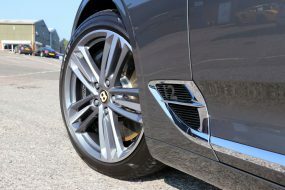 Initially the centre wheel caps were removed, then bodywork and wheels and hub caps were treated with Nanolex Wheel Cleaner & Iron Remover to remove ferrous contamination. 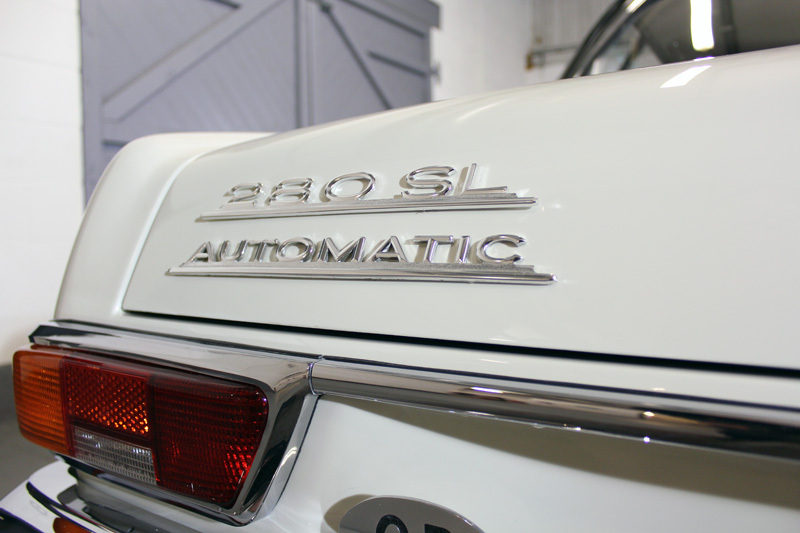 Next the 280 SL was degreased with Bilt-Hamber Surfex HD, using a detailing brush to get into the gullies of the bonnet, boot, engine and door shuts. 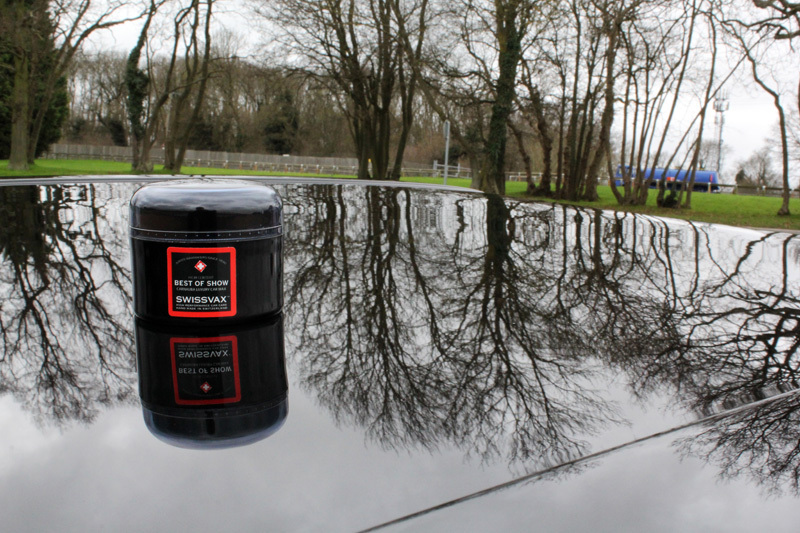 After being rinsed the car was then treated with Ultimate Snow Foam to remove the larger particles of dirt and grit. 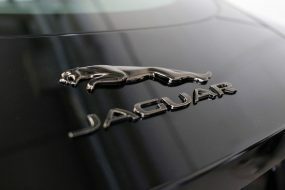 After allowing the foam to dwell, lifting dirt away from the surface of the bodywork, the car was rinsed. 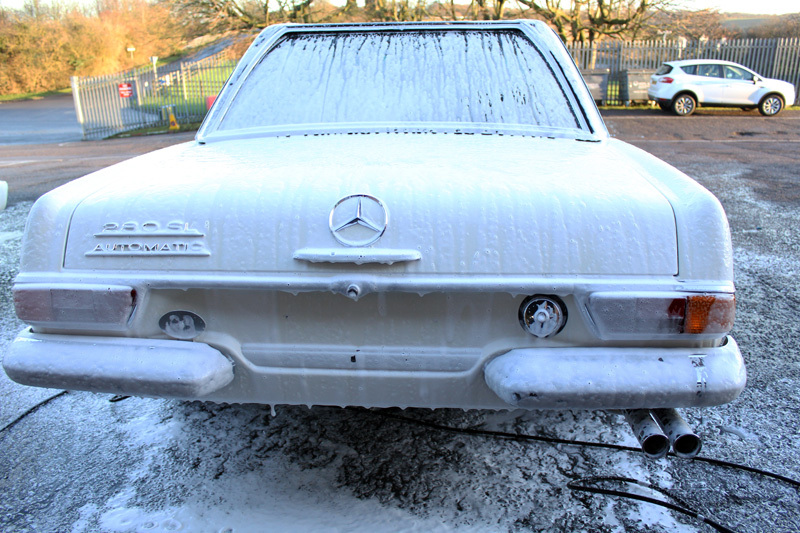 Then the 280 SL was washed using the Two Bucket Method, Swissvax Car Bath and a Waschpudel. 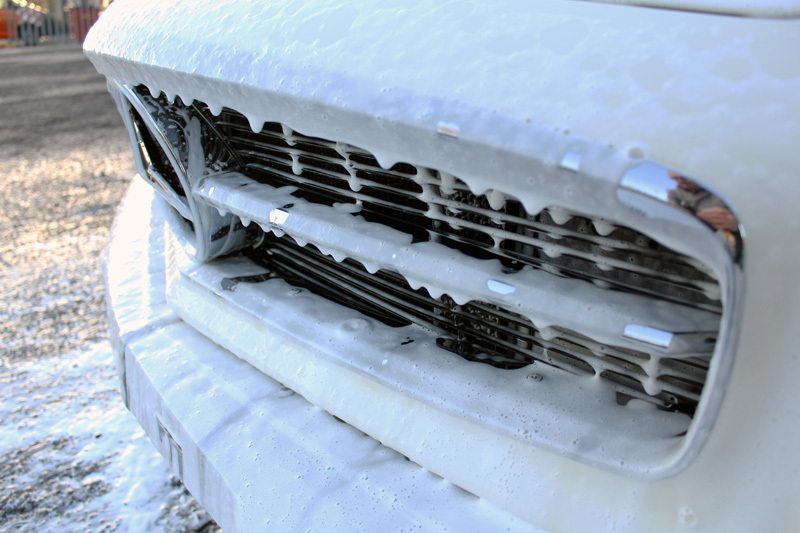 The car was rinsed free of suds, then given a final, pure water rinse using an Aqua Gleam De-ionising water filter connected to a hose. Using Swissvax Micro-Dry Wonder Drying Towel the car was carefully dried and brought into the studio. 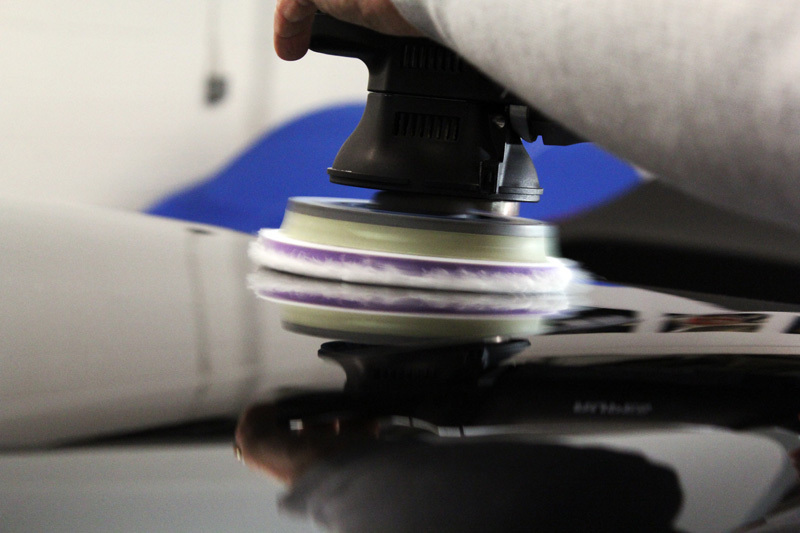 Using the RUPES BigFoot LHR15ES Polisher with a Flexipad Microfibre Cutting Disc and SCHOLL Concepts S3 Gold High Performance Cutting Compound the swirl marks were carefully removed from the bodywork and black hard-top. 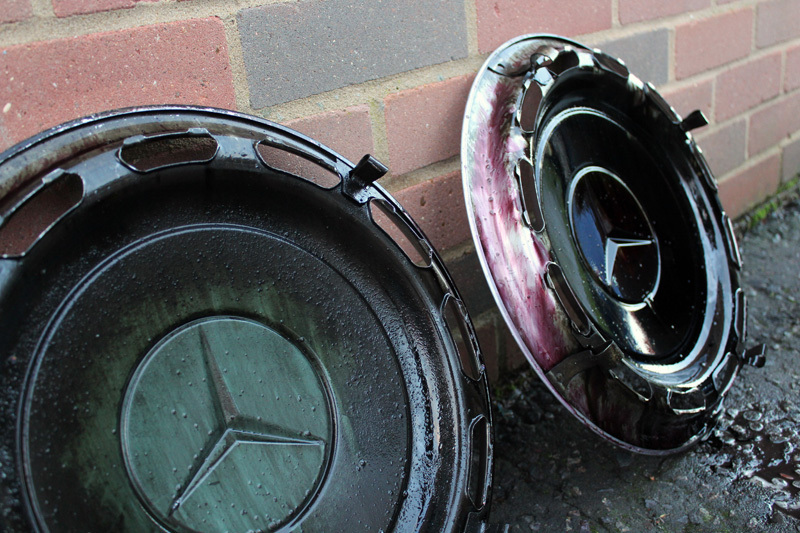 The centre pieces of the hub caps were also machine polished to remove the swirling. 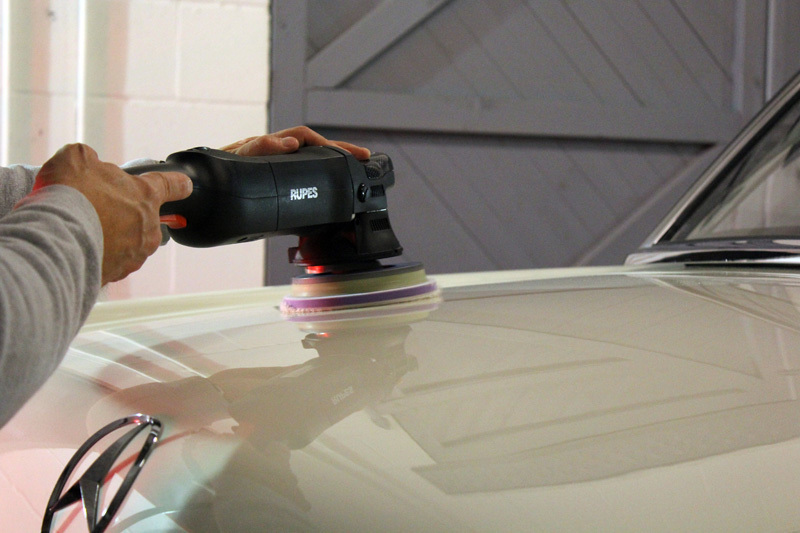 For these and for the tighter areas on the bodywork, the RUPES LHR 75E BigFoot Machine Polisher was used. 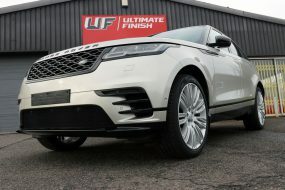 The bodywork, wheels and roof were refined using the FLEX PE14-2-150 rotary polisher, a Black 3M High Gloss Polishing Pad and PolishAngel Master Final Polish II. The engine bay was polished by hand with Master Final Polish II and a foam applicator pad. 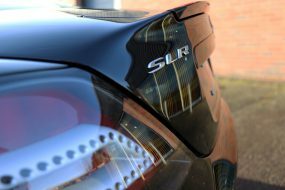 With the paint correction complete, the paintwork was enhanced and protected with two layers of Swissvax ‘Best of Show‘, a highly-concentrated wax containing 51% of purest yellow grade-one carnauba by volume. The chrome had all been rejuvenated during the restoration stage, so Gtechniq M1 All Metal Polish was used to give it a gentle clean and polish. This is a chemical cleaner which does not put fine scratches into the sensitive surface and leaves behind a warm lustre. 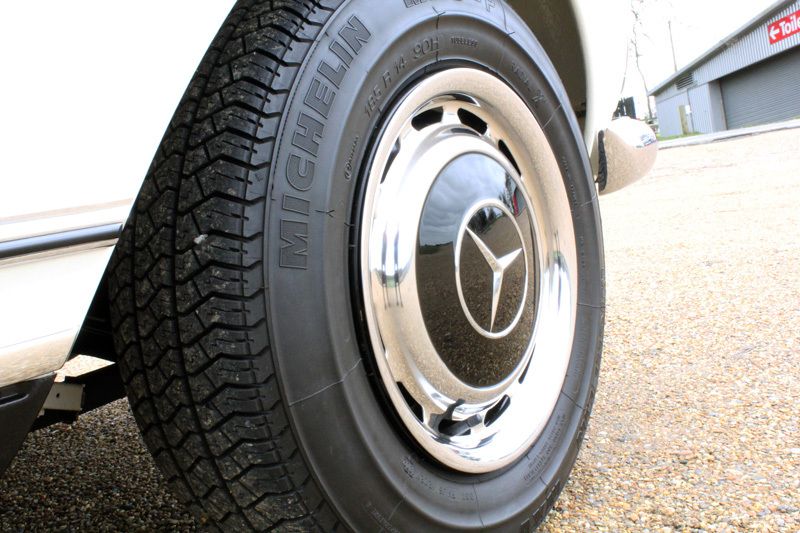 The tyres were dressed with Swissvax Pneu tyre dressing to leave a natural, satin sheen. 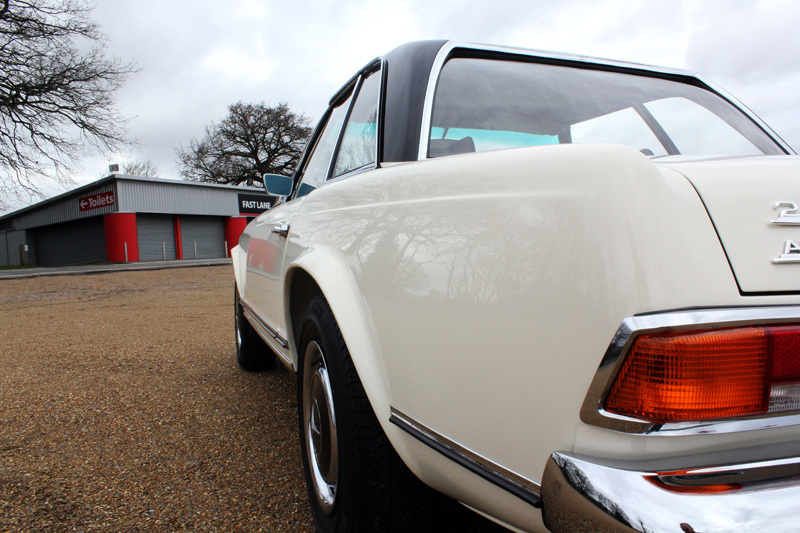 The final result was stunning, as befits such a classic beauty. The customer was very pleased with the outcome and knew his wife would be delighted, although, as he said, it may be spring before she takes it for a spin!